This is a tiny 4-pin Qwiic 1mm JST connector. 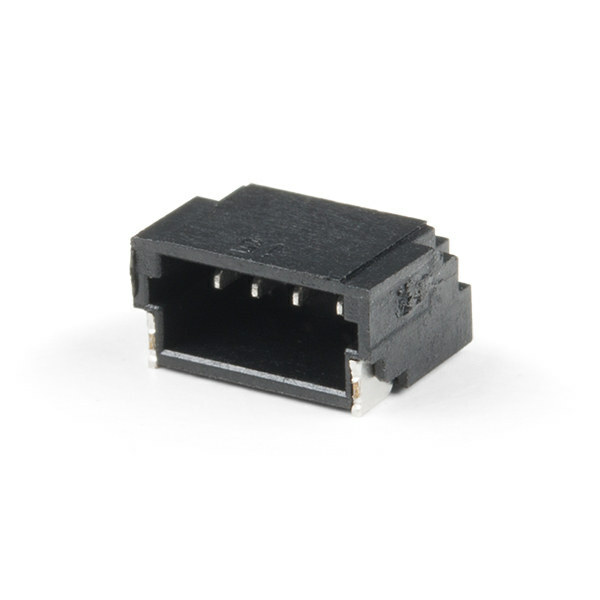 This connector is used on all of Sparkfuns Qwiic-based boards and can be used to create your own I2C-based device compatible with the Qwiic system. Additionally, this connector will mate with all of Sparkfuns Qwiic cables with a solid lock.